Driving down the AR-147 alongside Horseshoe Lake I see something bright green in a ditch on the side of the road. This small road does not have a proper shoulder, so I turn around, pull up on the grass, and park on the other side of the road. It becomes clear as I approach that the green object is a chaise lounge chair. Alongside the chaise lounge are several more chairs and a number of other household items. Had someone decided to use this as their own personal dumping ground? 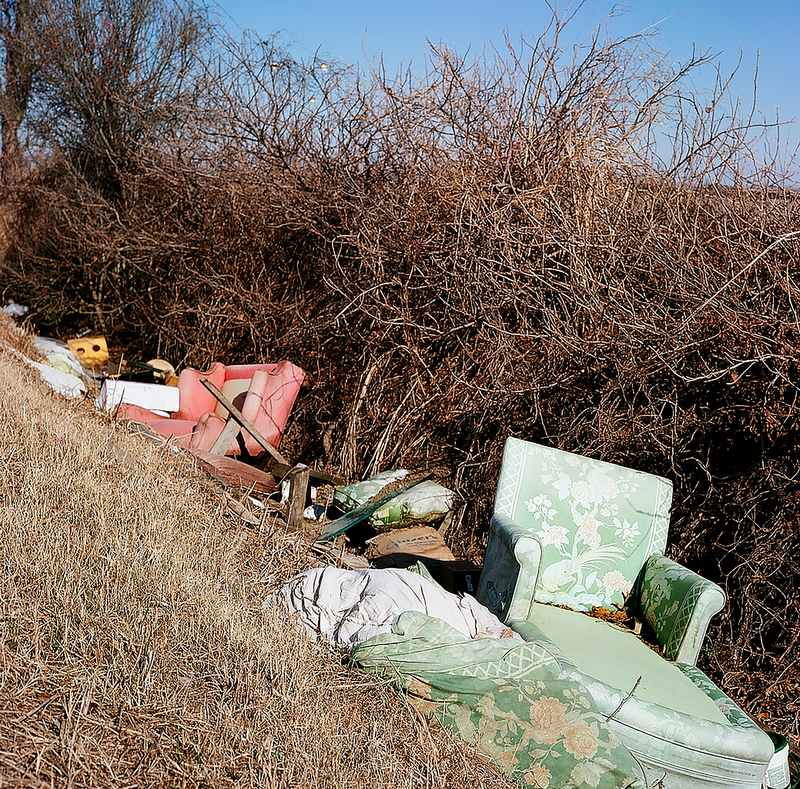 It feels as if a person’s whole life has been left discarded on the side of the road, but why?